Stress can affect how you feel, think, behave and how your body works. Discover a range of techniques and disciplines to reduce the stress in your life and improve your mood. Learn how to relax and become more centred, which will help you cope more effectively with short and long-term stress. Some medical conditions, including certain neck or back injuries, are not suitable either to give or receive massage. Please obtain advice from a health professional if unsure. Not suitable for those with certain skin conditions. Please obtain advice from a health professional if unsure. Not suitable if you are on high depression medication due to meditation sessions. If you are receiving treatment for any mental health conditions, please consult your health professional before enrolling on a course. Discover how to use essential oils to promote physical and emotional health and wellbeing. Learn this simple and deeply relaxing therapy where the head, neck and face are massaged. 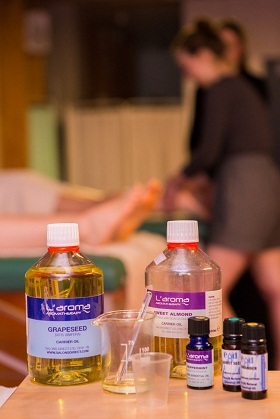 Discover the benefits of massage and learn how to give simple, relaxing and effective massage and how to use massage oils. Gain a better understanding of stress and how to help manage it through breathing and stretching exercises, relaxation and visualisation in guided meditation. Discover this traditional hands-on Japanese healing art which can alleviate stress and illness and maintain health and wellbeing.